The Mulligan: Land-light (one or two) hands are generally better keeps than the opposite because of the high land to non-land ratio of the deck. Look especially for cards like Abundance , Scroll Rack , Journeyer's Kite or other permanent sources of churning through the deck. Turns 1-2: You're mostly looking to play permanent sources of card advantage like the aforementioned Journeyer's Kite or even Scroll of Origins . Basically, you're trying to set up a scenario where you start drawing either two lands per turn, or a land and a Gaea's Bounty effect. Seven lands in hand is a difficult requirement, so getting these engines set up is crucial to your success. Turns 3-6: Mana-efficiency is key in these turns, as now cards like Sprouting Vines compete with the activated abilities of the cards mentioned for Turns 1-2. In addition, the extra lands and other miscellaneous card draw can start pushing on your hand size , so the cleanup step can start to be an issue as well. There are enough instant-speed cards and abilities that starting the combo turn with seven lands and a few other cards is possible, but in the worst case scenario, I prefer discarding down to six lands and a single gas spell in the hopes of winning the next turn. Turns 7+: These are combo turns. If you haven't managed seven lands in hand by now, you should be actively pursuing it, possibly even missing land drops in an attempt to hit that lucky number. This deck's preferred kill condition is Genesis Wave into Akroma's Memorial and either Kamahl, Fist of Krosa or Hydra Broodmaster . Some lists prefer Helix Pinnacle or Hurricane or some other non-combat win condition, but the Memorial kills streamline the deck into Genesis Wave into Eternal Witness into Genesis Wave into kill, which I find better than the alternatives. Of course, your opponents aren't goldfish. Any sort of discard hampers the deck, artifact destruction is a problem, even more so than the enchantment variety, there are too many other combo decks out there that are either faster or more consistent or more resilient to hate, etcetera. Sasaya decks, especially this build, don't have the versatility to combat any of this. But there is a visceral joy in activating Hydra Broodmaster where X is 103, or activating Kamahl thirty-five times to swing in with some lethal hasty lands, and I wouldn't have it any other way. UPDATE (August 2018): So I'm still tinkering with the deck a bunch. This iteration cuts Reliquary Tower and ups the instant-speed of the deck. 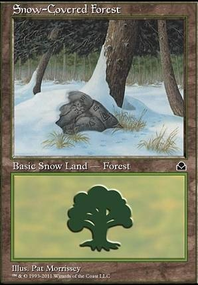 Citanul Flute and Summoner's Pact now have the potential to find one land in Dryad Arbor , so that's certainly helpful when trying to set up the hand. Also, I finally caved and bought Snow-Covereds and a Scrying Sheets so we'll see how those fare.